With Everso English, students can be assured of living in a hospitable family, keen to welcome overseas students into their home. Everso English are committed to speaking in an all-English environment, to benefit the student and aim to include as much general conversation as possible throughout the visit, to improve the student’s spoken English in a natural setting. We visit each individual host family and as such can guarantee high quality accommodation, as well as a friendly smile. Host families offer full board: breakfast, lunch and dinner, but understand if a packed-lunch is required instead, as students may wish to be out and about after the morning classes have finished. Our hosts are keen to help show students sites of interest in the local area and are asked to visit at least two sites per week with the student, outside of class times. If you are interested in British History, Winchester is the ancient capital of Wessex and is home to one of the most magnificent cathedrals in the country. Other sites of interest may include: the picturesque Water Meadows, surrounding the historic hospital of St. Cross; The 12th century Wolvesey Castle ruins; Peninsular Barracks; The Winchester City Museum; or 13th Century Great Hall, displaying a replica of King Arthur’s legendary Round Table; or finally, a tour of England’s oldest public school, The Winchester Boys’ college. As well as visiting the sites of historic Winchester, hosts are also encouraged to show students the more informal side of British life and may take the opportunity to show students some of the great pubs, bars and live-music venues within and around the city-centre. As well as many ancient and traditional taverns, Winchester is a University town and boasts a very lively and vibrant cultural centre. During the summer months, the ancient streets are busy with the local Hat Fair festival: a celebration of street arts and outdoor performance. Improve your written and spoken understanding of Britain’s literary past by clicking on your desired author to read about our English Literary Experiences. 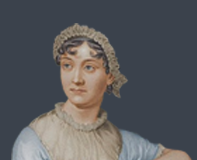 We have put together day trips that are bursting with the cultural sites and tastes of our English Literary Heritage; focusing on the lives and works of Jane Austen, Charles Dickens and William Shakespeare.